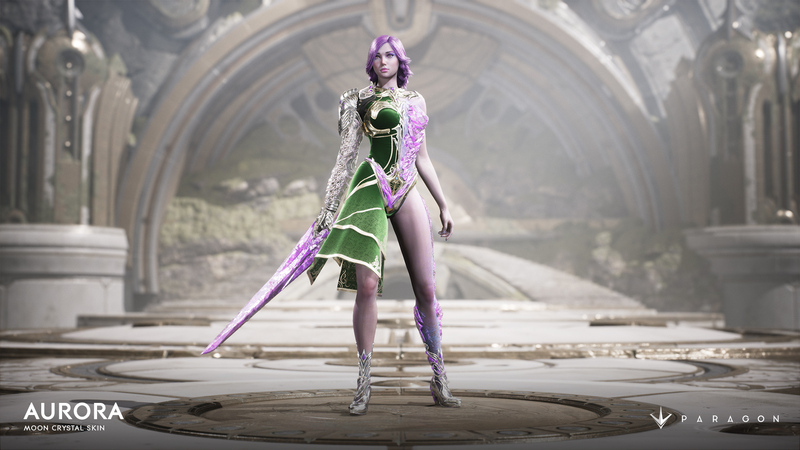 The V.37 update for Epic Games' Paragon is live and the big feature is the chill hero (or heroine) Aurora, who has a penchant for all things ice. Keeping with the motto of releasing a new hero every three weeks, the studio is still pumping out great designs and cool abilities that are quickly turning this game into one of the big names in the MOBA genre. You can check the full patch notes and take a glimpse below at one of Aurora's alternate skins, the Moon Crystal, as well as the overview video. Epic Games is also working on other free-to-play games such as Unreal Tournament (already playable) and Fortnite, this one still with no actual beta date, sadly.